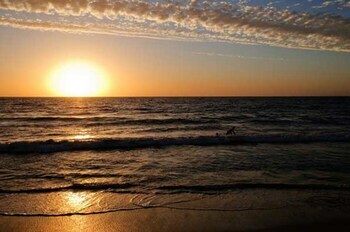 With a stay at Ocean View Motel in North Beach, you'll be near the beach and close to Sorrento Beach and Hillarys Boat Harbour. 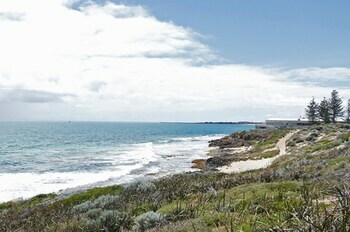 This motel is within close proximity of Sorrento Quay Boardwalk and Aquarium of Western Australia. Make yourself at home in one of the 21 air-conditioned rooms featuring refrigerators. Complimentary wireless Internet access is available to keep you connected. Bathrooms have showers and hair dryers. Conveniences include coffee/tea makers, housekeeping is provided daily, and cribs/infant beds (surcharge) can be requested. 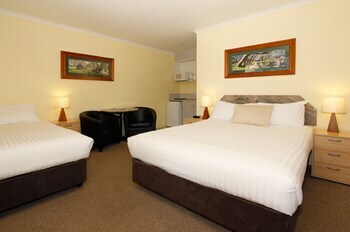 Ocean View Motel North Beach is the perfect North Beach lodging choice for your trip to Australia. With numerous amenities for guests such as laundry, non-smoking facility, you will wake up at Ocean View Motel North Beach feeling invigorated every day for your time in North Beach. Don’t let this amazing reservation opportunity pass you by, book your stay at Ocean View Motel North Beach today to make the most of your time in North Beach, Australia.